On 26 September 2016 Northern Society held an event in Newcastle for ICAEW members and we were delighted to be joined by Rebecca Benneyworth, Chair of HMRC’s Digital Advisory Group. Rebecca is very keen to ensure that as many smaller firms and businesses as possible respond to the consultation so that HMRC can move ahead in designing a system that works for everyone. Rebecca explained the proposals for Making Tax Digital as set out in the HMRC consultation documents, adding insight from her dealings with HMRC on this issue (she also sits on both a Working Group and a Programme Board for HMRC in relation to MTD). She highlighted those aspects of the six consultations of most interest and concern to firms and drew out in discussion some of the issues to think about. Those attending were able to leave the session ready to make a response to the HMRC consultation, and with access to templates for responses this should be an easy task. Northern Society and ICAEW continue to urge members to consider how these proposals will affect you and your clients, and take the chance to shape the new regime by making your views known to HMRC as part of the consultation process. The changes being proposed will make it compulsory for almost all businesses to keep their records digitally, so are about making business digital. 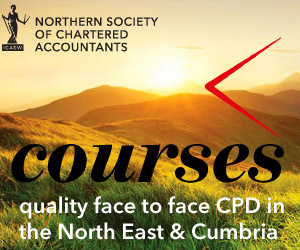 Northern Society and the ICAEW Tax Faculty is calling on ICAEW members to respond. The ICAEW will also be responding to these consultations on behalf of its 145,000 members and their 1.5 million business clients. At Autumn Statement 2015, the government announced that by 2020 most businesses, self-employed people and landlords will have to use software or apps (“digital tools”) to keep their business records. They will also need to provide HMRC with updates about their income and expenses at least four times each year. Keeping business records on paper files will be a thing of the past, but so too will compiling accounts as excel spreadsheets. The changes are fundamental and will affect all UK taxpayers, both as individuals and as businesses. Although labelled ‘Making Tax Digital’, the ICAEW Tax Faculty has noted they could be more correctly described as ‘Making Business Digital’. And tax law will need to change to facilitate the digital updates, with new rules for assessments, payment and penalties. On 15 August 2016, HMRC published six consultation documents explaining more about what this might mean. There are also proposals to develop greater use of shared information, which may raise privacy concerns. HMRC already receives information from employers, banks and other government departments, but it would like more. For example, details of joint bank account holders. In future this might also include details of other investment income such as peer-to-peer loans, dividends and shares and income from property. What IT will be needed and how much will it cost? Some will be offered for free by commercial suppliers, but who will be able to benefit from this? For more information about Making Tax Digital and links to the consultation documents, see the Tax Faculty’s news item.